Caves attract us. I don’t know if it can be attributed to the fact that we may be descendants of cave dwellers or if it’s the damp darkness that sparks mystery in us as we ascend into the earth. We know we are not the only ones who like caves. If a writer or movie maker wants to add mystery to a story, a cave is involved. The mysteries we read as kids were always more fun when someone fell into or discovered a cave. The first Indiana Jones film starts with a great cave scene, and both National Treasure movies had the actors discovering treasure in caverns. Caves evoke images of dangerous, narrow wet tunnels and floors that disappear, treasure long left by ancients, and rooms full of spider webs, skeletons and bats. In the Mayan culture, the entrance to Xibalba, the Mayan underworld ruled by the death Gods, was said to be located in the caves in Central America. They buried dead in the caves and made sacrifices to the Gods. When my archaeologist daughter was recently in Belize, they were allowed to explore the caves with their group, and were able to see first hand the human sacrifice remains and pottery left behind thousands of years ago by the Mayans. She came back with great stories and fabulous pictures. Caves are pure fun and excitement no matter which one you see. When we traveled to Playa in Mexico with the kids we went snorkeling in the caves. It was dark and beautiful, scary and exciting all at the same time. The water was ice cold even though the air above was 95 degrees or more, and the caves had areas that were open to the sun, just enough to make the snorkeling visibility good. As we went along there were roped off cave areas that were off limits to prevent tourists from getting lost. Those really looked like fun, but we followed the rules and did not go past the ropes. An occasional bat would fly over and we were actually surprised by the number of fish in the cave rivers. They flowed to the ocean so it was salt water and the fish were of every color and size. 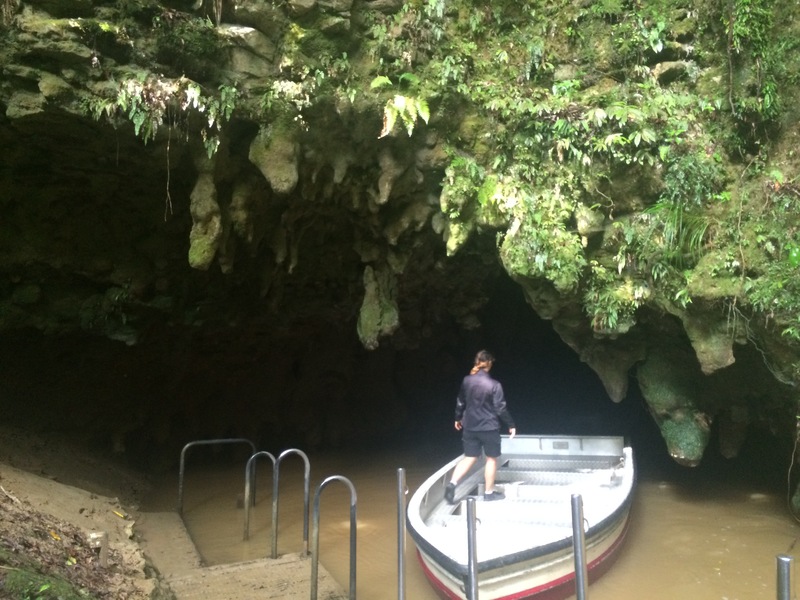 It was a little scary because the water was quite deep in places and as we led our young children through the caves, I started to wonder what lurked in some of those deep cave waters. Obviously I have seen too many scary movies. I did not share my concerns out loud, because they were all having such a good time and I did not want to alarm them. It would have ruined the experience. I also went by the rule that it seemed like hundreds of visitors have been snorkeling in these caves for years and I have not heard of any problems, so if they could do it we can do it. I figured the odds were in our favor and nothing will come out of those deep dark waters to attack or steal our children. 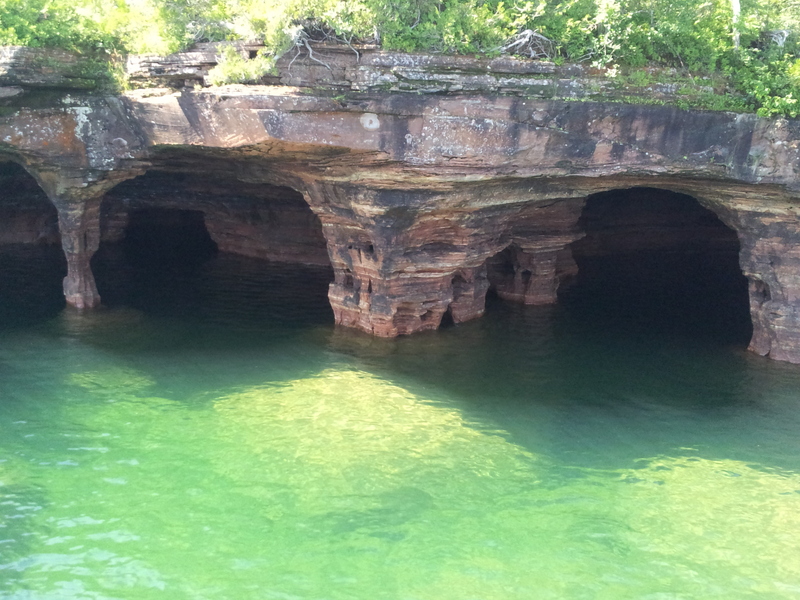 Some of the most beautiful caves in the world are by the Apostle islands in Lake Superior. We saw them in person when we stayed on Madeline Island with friends a few years ago. 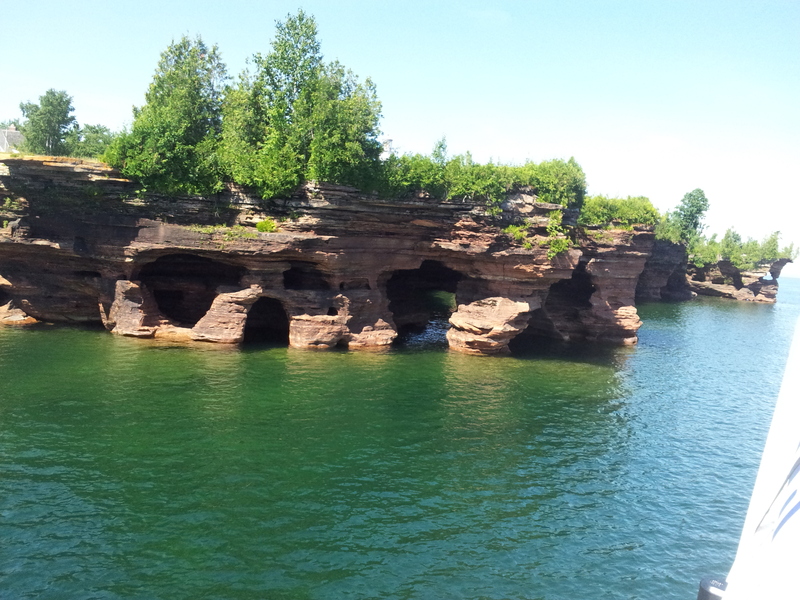 You can take a boat or Kayak out to the colorful caves on the shores of the islands, formed by the wind and waves of Lake Superior. We took a boat, and while we took some lovely pictures, the true beauty of these caves have only been captured in pictures by professional photographer, Craig Blacklock. He makes these caves come alive as he was able to capture the multicolored cave walls eroded by thousands of years of water and wind that sculpted out walls, pillars and caverns in the sides of the mostly uninhabited islands. The caves are colorful and whimsical in the winter and even more beautiful when surrounded by the fall colors or the bright sun of summer. They look almost enchanted as if created for their beauty and our enjoyment. The boats come as close as possible and it is a place I need to go back to for the kayak experience. With the Kayaks you can go right into the caves and get a close up view. Blacklock, who I found out teaches photography lessons on the island, actually has worn a wet suit while taking pictures of the caves from the water. We have a long history of visiting and loving caves in our family. Minnesota has Niagara cave in Forestville by Harmony, Minnesota which got its name from the large waterfall inside the cave. There are also the St. Paul caves that have a long history as a speak easy for gangsters in the 1930’s and then in later years it became a nice restaurant, and now they hold weddings and parties in the caves. We went on a tour of these caves a number of years ago and they can show you bullet holes in the walls where the gangsters would occasionally shoot up the place. 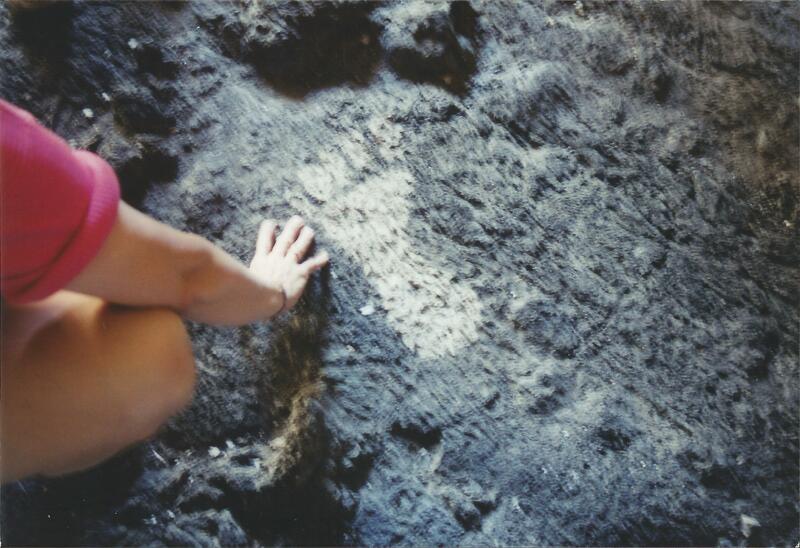 We saw Craters of the Moon in Idaho which has caves with spray painted big foot tracks. That was fun for us all! We have seen Cave of the Winds in Colorado which was close to the Manitou cliff dwellings site. We toured that with our family and it was fascinating to imagine the people who called the cave dwellings their home. It had to be a struggle for existence from finding enough water year round, to being able to grow food in the harsh area, but when you stood in the cliff dwellings you could see unspoiled beauty for miles and I imagine they looked for a place where they could not only survive, but one that made their heart happy. We also saw wind cave in South Dakota which had a desert wind-swept look to the walls, like no other cave we have ever seen. In New Zealand at the top of the list of interesting caves is the Glow Worm cave. The silk type worms live on the ceiling of the cave, dropping down their silk to catch bugs and flies to eat, but their most interesting feature is that they have bioluminescence. They light up. They are similar to a fire fly and they glow and twinkle in the darkness. Because there are so many on the cave ceiling, it looks as if someone strung millions of tiny white Christmas lights on the ceilings. The tour is a silent boat ride where no photography is allowed. They quietly load the tourists and everyone is warned numerous times of the rules of no talking, no noises and no photos. 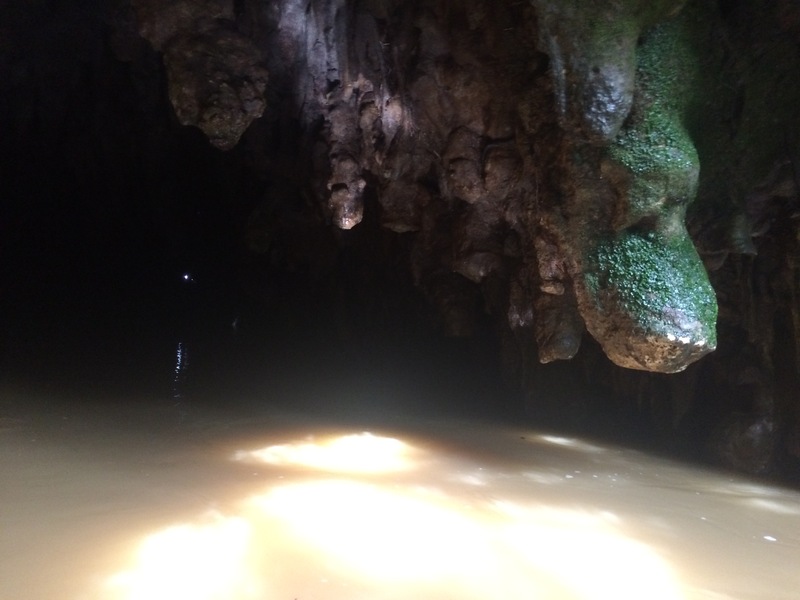 It was the most romantic cave tour I have ever experienced. We have been to many caves all over and each cave is unique in its beauty and mystery. Some are scary, some full of adventure and some provide a twinkling romantic experience for a middle aged couple like us, celebrating thirty years of marriage. Our kids sat in awe and wonder as they followed the big foot tracks into the cave in Idaho on a family adventure that they remember well, even though they are now all grown up. 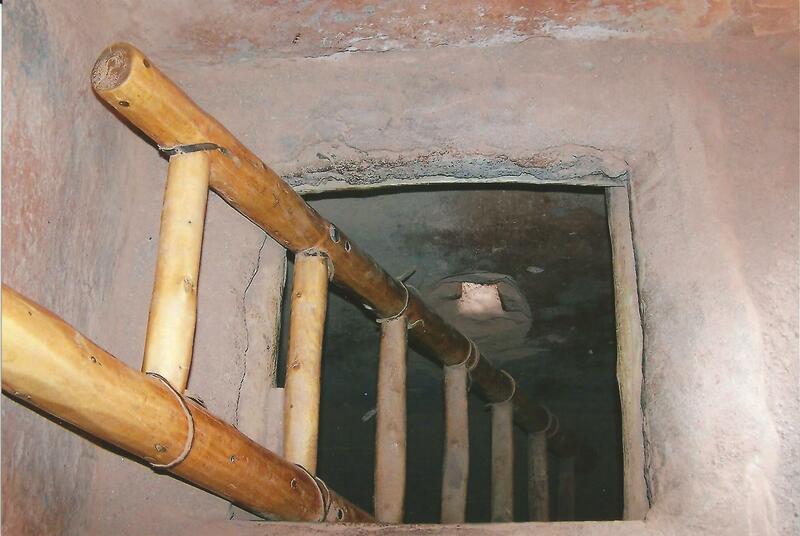 As an adult, one of them was lucky enough, while working in Central America to see the legendary entrance to the underworld of Xibalba of the Mayan gods and see the human sacrifices of thousands of years ago. Caves are the essence of mystery, beauty and wonder in our world. It is no surprise that we seek the allure of traveling underground to see these dark, mysterious, scary, romantic, awe inspiring and naturally beautiful part of the underground world. Seeing and appreciating these natural places that can evoke so many emotions and so much excitement in us is what life is all about! Stir your soul and peak your excitement and interest for life by appreciating these naturally mysterious places.